Spice has announced its first smartphone running on Firefox OS named Fire One Mi-FX which is being priced at Rs. 2,299 which was being said to be the first smartphone running on Firefox OS but recently with the announcement by Intex which is releasing Cloud FX which will be launched on Aug 25th will be the first smartphone running on Firefox OS in India. Along with these the company is providing a free Silicon cover for the device out of the box. The device will be available only through Snapdeal the e-commerce website initially but later be made available through other e-commerce websites as well, no update about their availability through Stores is available at the moment. The device comes preloaded with Firefox OS (Version not mentioned) and has Marketplace and an App store. 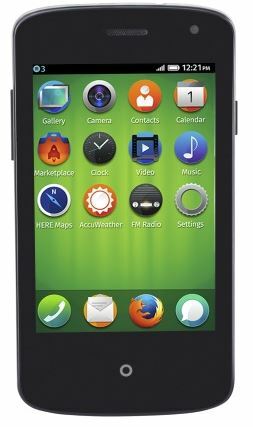 This is being touted as the ultra low cost Spice device running on Firefox OS which the company aims at providing maximum features at the lowest possible cost. as said by Prashant Bindal who is the Chief Executive Officer of Spice Mobility Ltd.
Dr. Li Gong, President of Mozilla Corporation, said in the announcement, “Just one year after the first Firefox OS device launched, Firefox OS smartphone is now available in 17 countries across Europe, Asia and Latin America. Our partnership with Spice will be an exciting Firefox OS launch in India”. The Pricing of Spice Fire One Mi-FX 1 will be Rs. 2,290 after its release on August 29th. This will be the second device to run on Firefox OS launching in India after the launch of Intex Cloud FX which is being released on August 25th in India at Rs. 2,000 INR little lower than what spice is offering for its device.